(April 15, 2015) – ENGEO has once again been honored with a Best Place to Work award by San Francisco Business Times. ENGEO competed in the 100- to 249-employee category, counting only employees that work in the Greater Bay Area region. At the ceremony on Tuesday, April 14th in San Francisco, the firm received the award placement of Number 3 in this category. This is the 11th consecutive year ENGEO has earned a top-10 ranking. This year there were over 500 competing companies from the 9-county Greater Bay Area. The list has recognized companies with exceptional workplace cultures for the past eleven years. This latest award continues ENGEO’s admirable award streak, as they have finished in the top ten in 10 out of 11 years for which the firm has submitted for the award. ENGEO has experienced geographic growth over the past couple of years, having established offices in Irvine and New Zealand. ENGEO’s Christchurch, New Zealand office is providing much-needed geotechnical engineering support to assist with the rebuilding of Christchurch after the devastating earthquakes in 2011. ENGEO attributes the firm’s success to a culture of service, collaboration, optimism, passion and excitement. The firm is committed to maintaining a close-knit atmosphere and a stimulating work environment. ENGEO offers comprehensive training, coaching, mentorship, and actively promotes involvement of all employees in important decisions of the firm. Through a combination of small committees, after-work activities, and an open-door policy, the firm is committed to providing each employee with a voice and a strong connection to the team. With offices throughout California and New Zealand, ENGEO has provided engineering consultation and design services in 39 US states and a number of foreign countries, including New Zealand, Australia, Japan, Mexico and Israel. The firm’s expertise in flood control, geologic hazard mitigation, seismic engineering, ground improvement techniques, hazardous materials remediation, water quality and riparian corridor restoration has won the trust of hundreds of clients in both the public and private sectors. 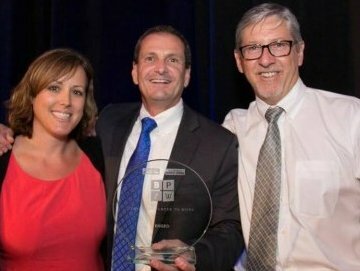 The firm has won multiple awards for workplace culture and technical excellence.